Almost overnight the weather here in Glendale has turned from mild spring into blazing sun, and it seems somehow appropriate given the absolute heat that the UFC is about to bring to the Gila River Arena Saturday on FOX. For starters, there are two determined lightweights gazing in the direction of freshly-crowned king Khabib Nurmagomedov, two veterans who leave everything in the Octagon, the return of the hottest new star in the sport…and those are just the first three fights. These are the reasons to watch Fight Night Glendale. He’s not wrong. This fight is one that’s going to be remembered for a long time. This is a potent combination of two of the most fearless, downhill-marching warriors currently in the game, and the likelihood of this main event lasting five rounds is minimal. Gaethje has fast become must-see TV since his 2017 UFC debut in the Fight of the Year against Michael Johnson. He’s aggressive, throws hands, and doesn’t worry about eating some in return as he waits for his knockout opportunity. Even in his first professional loss (to Eddie Alvarez at UFC 218), he still delivered on his nickname “The Highlight” and will be desperate to wash away the sting of that defeat. Nine-year veteran Poirier has gone 6-1-1 since returning to lightweight in some of the most brutal performances the division has witnessed in recent years. “The Diamond” wields the same knockout threat and iron chin of his opponent, and has picked up some excellent wrestling and grappling tools since he began training in Coconut Creek, FL. His new UFC contract contains, in his words, “championship language,” and those around him report he is obsessed with capturing the belt. The sheer ferocity of both fighters coupled with their seemingly nonexistent regard for their own safety would indicate that the big winner Saturday in Glendale will be the fans. Sure, everyone was disappointed when Carlos Condit’s original co-main opponent Matt Brown had to cancel due to a torn ACL. But the same MMA gods that brought us the main event must have been smiling on this card and delivered an equally intriguing opponent in the form of Alex “Cowboy” Oliveira. Like their counterparts in the main event, these guys know what it takes to keep fans on their feet and won’t shy away from taking a hit if it means they can deliver one. 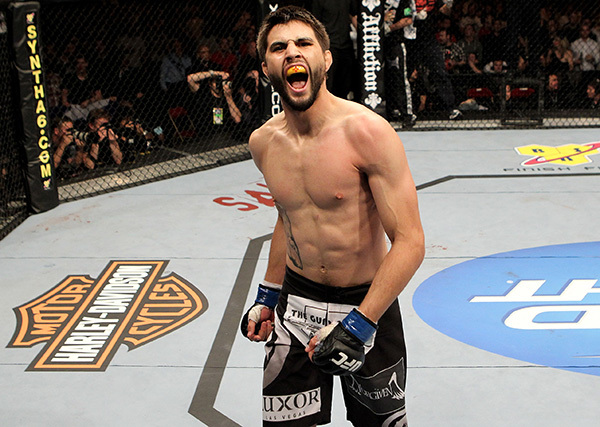 Both veterans are trying to bounce back from disappointing losses; Condit most recently at the hands of Neil Magny at UFC 219, and Oliveira coming up short in a thriller against Yancy Medeiros. These fighters desperately need this win if they want to continue to make noise in the welterweight division, and a Fight of the Night-type performance wouldn’t be the least bit surprising. Israel Adesanya’s UFC debut at UFC 221 in Perth continued a very familiar path for the New Zealand star: win by stoppage. Undefeated in his professional career, Adesanya is the rare prospect deserving of every last drop of his hype. His physique and his skill set have earned him frequent comparisons to Jon Jones, but “The Last Stylebender” is a singular talent and personality both inside and outside The Octagon. As newcomers go, it’s safer to predict when he’ll dominate the sport, not if. His sophomore outing won’t be a walk in the park. His opponent Marvin Vettori is a submission specialist and a brown belt in Brazilian jiu-jitsu, and carries a fair amount of his own young prospect hype. His game will serve as an interesting counter to the Kiwi’s striking prowess. Cortney Casey and Michelle Waterson are two more fighters anxious to put a loss behind them and start clawing their way back towards the top of the division. Stylistically, the matchup should be an interesting one. They call Waterson “The Karate Hottie” for a reason: she holds a black belt in freestyle karate, and her use of the discipline is what made entry into the UFC such an exciting and memorable one. She’s also a dangerous kickboxer with proven speed. She’ll need it, as she’ll be outsized by the imposing Casey with her considerable height and reach advantage. Casey is also an old-fashioned brawler who is happy to stand and wait for her shots, or fire off punches in the clinch. The seeming disparity in their approaches should make for an arresting bout that is difficult to predict and sends one of them back into near-contender status. If you’ve been putting off getting a FIGHT PASS subscription, this is the perfect occasion for you to take the plunge. Six (count ‘em, six!) full fights will start off the action in Arizona. That almost doubles your fight intake when you add it to the FOX extravaganza. 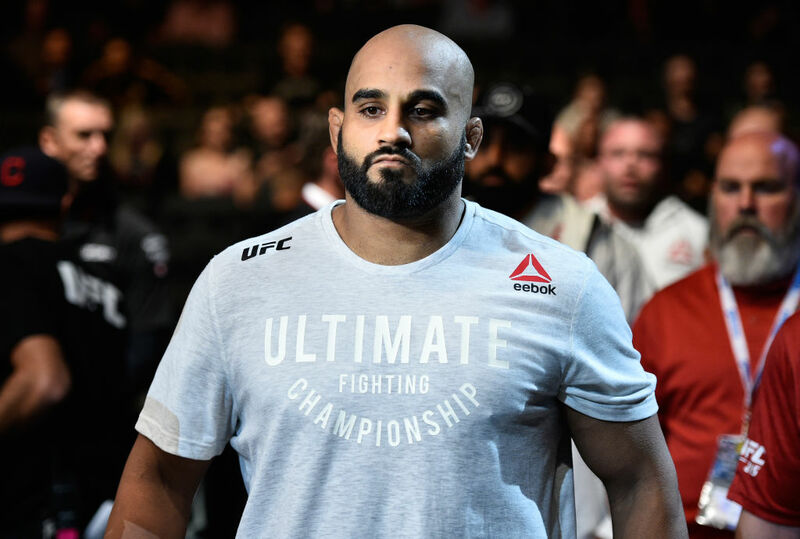 Far from being minor matchups, the slate includes notables like the return of undefeated heavyweight Arjan Singh Bullar, TUF alumnus Shana Dobson, legend Yushin Okami, Gilbert Burns and many more. If you can’t make it to Glendale in person, a 7-day free trial of FIGHT PASS is by far the best way to enjoy “the fights before the fights” this Saturday.